Atlanta Bread gives 10% discount with student ID. You deserve your place for great food and coffee while you hit the books. 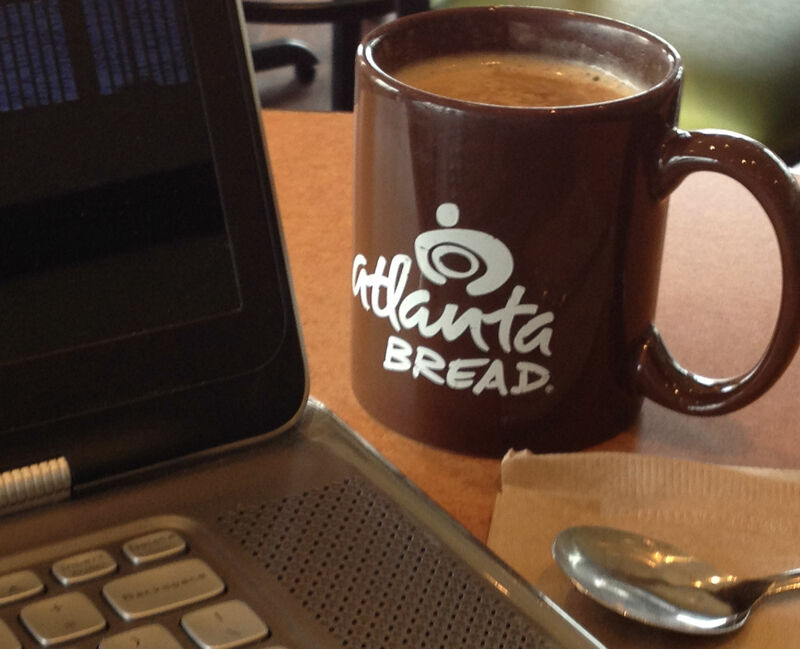 Welcome to Atlanta Bread Huntsville! Get a 10% discount on your meal, snack and beverage purchases by showing your student ID. Watch for specials on coffee and pastries just for students. The comforts of home – with service! We have lots of comfortable space for students, great high speed wifi, and a comfortable environment where you are always welcome to study, hang with friends or just relax. Got a study group? Use the family table or let us know what you need. We’ll help you set up a group of tables that meets your needs. There are outlets near more than half of the tables in the cafe. Did we mention the coffee? We serve Lavazza brand coffee and espresso. Customers tell us it is the best they have found. We agree. It is great coffee. Lavazza, a well know Italian coffee brand, has blended and roasted coffee beans since 1895. The best ingredients go into our food. We have worked hard to “clean up” our bread dough and eliminate all but those ingredients that are a critical and natural component of bread. We hand slice all-natural meats daily. We prep produce as it comes off the truck from our Huntsville supplier. Our bakers begin late at night so that the bread for your sandwich is as fresh as possible. We bake breads and desserts throughout the day to make certain you have only the freshest baked goods. At the end of the day our baked goods are given to a local organization to be used to help those in need of food. Every order is made to order. Using fresh ingredients we make your salad or sandwich the way you want it after you order. JOBS! Need a job? We are always looking for another good employee. Apply here.